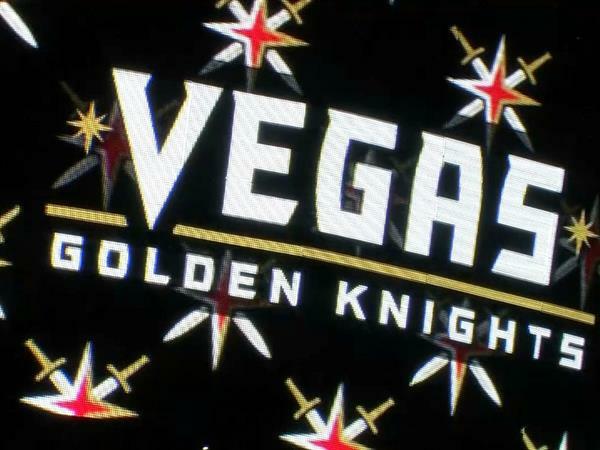 On Nov. 22, it was announced that the new Las Vegas NHL team will be called Vegas Golden Knights. The name was revealed during a special event at the team’s Las Vegas’ home, the T-Mobile Arena, by majority owner Bill Foley, NHL Commissioner Gary Bettman and the team’s general manager, George McPhee. The Vegas Golden Knights will be Las Vegas’ first professional hockey team and is expected to begin playing during the 2017-2018 season. For more information, visit www.nhl.com/goldenknights. The Lucky Dragon Hotel & Casino will officially open its doors on Dec. 3. The property is Las Vegas’ first casino resort to deliver an authentic Asian lifestyle experience. Located on the north end of the Strip, the resort features a nine-story hotel, 27,500-sqaure-foot casino space, a pool designed to create an oasis garden escape and a Tea Garden with Las Vegas’ only tea sommelier. For more information, contact Rachel Henry, Kirvin Doak Communications, luckydragonpr@kirvindoak.com. In December 2016, W Hotels Worldwide will make its debut in the Las Vegas market at the SLS Las Vegas’ former Lux Tower. In a metropolis known for pleasing the masses, W deals something more unique, unexpected and elevated. W takes on a one of a kind experience in Las Vegas, with its intimate layout, secret entrances, private spaces and personalized Whatever/Whenever service. For more information, contact publicrelations@slslasvegas.com. Live Nation and MGM Resorts International announced multiple GRAMMY® Award-winning artist Ricky Martin will begin his Las Vegas headlining residency at the new Park Theater at Monte Carlo on April 5, 2017. Martin's one-of-a-kind show will be helmed by the legendary director Jamie King, who has directed over two dozen tours for superstars including Madonna, Celine Dion, Britney Spears and Rihanna and most recently wrote and directed the Cirque du Soleil Michael Jackson ONE at Mandalay Bay. For more information, contact Scott Ghertner, MGM Resorts International, sghertner@mgmresorts.com. Thousands of rodeo fans will descend on Las Vegas Dec. 1-10 for the 2016 Wrangler National Finals Rodeo (NFR) at the Thomas & Mack Center. The ten action-packed days will take over the destination with a variety of activities and specials. NFR is ProRodeo’s richest and most prestigious rodeo, showcasing the very best cowboys, barrel racers and livestock in the world. Las Vegas will be alight with festivities such as the 30th Annual Downtown Hoedown at the Fremont Street Experience and the Cowboy Christmas Show at the Las Vegas Convention Center. Cowboy Christmas is a shopper’s paradise, attracting more than 400 exhibitors from the U.S. and Canada, selling everything from western wear to original art, to official Wrangler NFR and PRCA merchandise. Free to the public, Cowboy Christmas also has six interactive features including the 1,100-seat Wrangler Rodeo Arena, and events like Colt Starting Challenge USA and the Wrangler NFR Flag Girl Competition. For more information, visit www.nfrexperience.com. The LINQ Promenade—Caesars Entertainment’s open-air dining, entertainment and retail district located at the center of the Las Vegas Strip—is opening four iconic brands during the month of December. The beloved Hawaiian company, Honolulu Cookie Company, famous for its premium shortbread cookies in a signature pineapple shape will make its Las Vegas debut. The hotspot Jaburritos—known for handcrafted, fresh burrito-style sushi—will be the first sushi burrito concept on the Strip. Other December additions include the Strip’s first In-N-Out Burger and Virgil’s Real Barbecue. For more information, contact Adrienne Prather-Marcos, Caesars Entertainment, aprathermarcos@caesars.com. Miracle Mile Shops at Planet Hollywood Resort & Casino has expanded its roster with several new dining and retail options which opened in November, including House of CB and Nestle Tollhouse Café. Guests looking to dine in the center can now enjoy Hot N Juicy Crawfish at its first Strip location, featuring authentic Cajun-style seafood with a variety of seasonings and entrée options. Additionally, sports fans will be able to enjoy autographed collectibles, celebrity signings and collector’s items at TRISTAR Sports Memorabilia. For more information, contact Kirvin Doak Communications, miraclemile@kirvindoak.com. Several new retailers and a dog-friendly restaurant are now open at Town Square Las Vegas just in time for the holiday shopping season. Highlights include the Lazy Dog Restaurant & Bar, Ulta Beauty, Sleep Number and the expansion of H&M. With more than 120 brand-name stores and 24 restaurants, Town Square continues to be the preferred gathering place for local residents and out-of-town visitors seven days a week. For more information, contact Brigitte Ruiz, Kirvin Doak Communications, bruiz@kirvindoak.com. Hard Rock Hotel & Casino Las Vegas introduced the first phase of a $13 million refresh inside its Casino Tower. The property has renovated 575 standard rooms and a second phase of the Casino Tower remodel will upgrade the remaining 65 luxury suites. Upon completion, 640 rooms and suites will be renovated to provide guests with contemporary accommodations and unrivaled amenities. The Casino Tower’s remodel includes sleek new furnishings, quartz countertops, spa-like oversized bathrooms with elegant marble flooring, lighted makeup mirrors, new artwork adorning the walls and convenient USB ports throughout each room. Amenities include a fully-stocked mini bar, 55-inch high-definition TVs and exclusive bath essentials. Each room is also equipped with French doors that open to breathtaking pool or city views. For more information, contact Brigitte Ruiz, Kirvin Doak Communications, bruiz@kirvindoak.com. Old West-themed Whiskey Pete’s Hotel and Casino unveiled a $3.5 million renovation of its 248-room property. Among the changes are new wallpaper and fixtures, new bathrooms, upgraded beds and carpeting, and modern furnishings and appliances. Located in the Primm valley south of Las Vegas, this marks the first major renovation done to the property since opening in 1973. For more information, contact Nicole Bullis, One7 Communications, nicole@one7communications.com. Opening this winter, Hawthorn Grill at JW Marriott Las Vegas Resort & Spa boasts a menu featuring a perfect balance of crave-worthy steakhouse fare and American classics, alongside an extensive wine and cocktail program. Sure to be Summerlin’s newest hotspot, Hawthorn Grill features a rich bar area, perfect for an after-work or pre-dinner drink; a large, yet cozy dining room easily accommodating a large family dinner or a romantic date; and an expansive outdoor patio with a vibrant waterfall surrounded by lush foliage. The restaurant will be open daily for breakfast, including a signature breakfast buffet, dinner and bar hours. For more information, contact Alissa Kelly, PR Plus, alissa@prpluslv.com. Get ready to rock like never before with an all-new, redefined concert experience that transcends generations. Beginning this winter, Tenors of Rock are bringing reimagined versions of some of the most beloved rock anthems and biggest songs of all-time to life in a fresh twist on the traditional rock show at the heart of the Las Vegas Strip. Powered by five burly British frontmen backed by a full band and masterfully choreographed dancers, the all-new production will feature dynamic and harmonically complex renditions of treasured songs from iconic groups like Aerosmith, Queen, AC/DC, Bon Jovi, The Rolling Stones and more. Tenors of Rock will debut in Harrah’s Las Vegas Showroom on Wednesday, Dec. 28. For more information, contact Erica Benken, Kirvin Doak Communications, ebenken@kirvindoak.com. Papaya King opened its doors on Nov. 14 across from the Hard Rock Hotel. It brings to Las Vegas its deliciously decorated dogs and fruity tropical drinks, as well as more than 84 years of history. Known as the first juice bar in New York City, it was praised by the late Julia Child for serving the best hot dogs in New York. For more information, visit www.papayaking.com/index.php/vegas.